Finland based HMD Global has started sending the official invites for its upcoming India event scheduled for October 31st where we may see the launch of a new Nokia smartphone. The company might launch the recently launched Nokia 7 in this event for Indian market or may be we can see the launch of the budgeted entry-level Nokia smartphone called Nokia 2 or we can see a completely new smartphone launch in the official event that might be the rumored Nokia 9. We have to wait for the event day and we will have more details on October 31st. 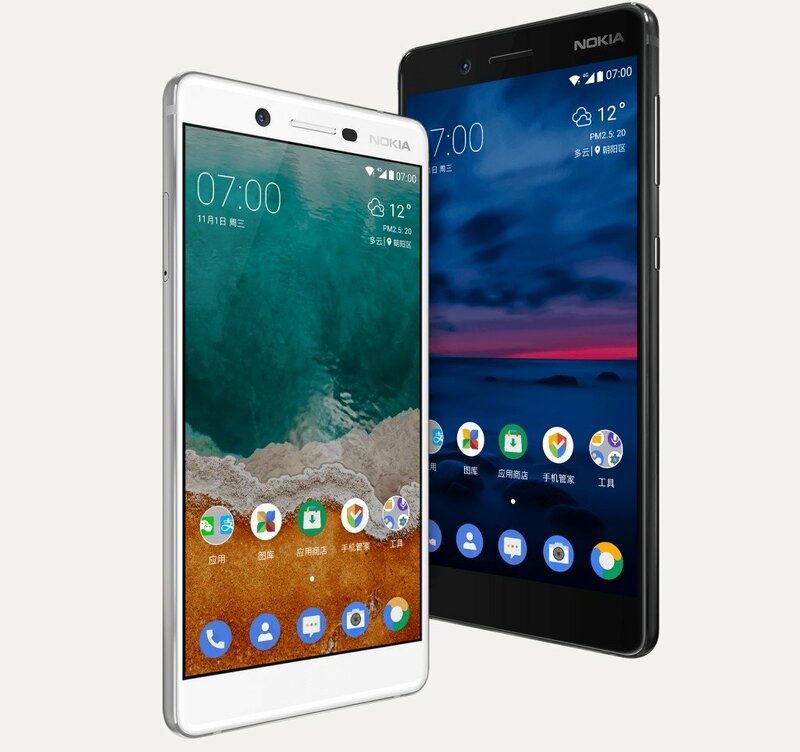 HMD Global has launched four smartphone in India till now, this includes Nokia 3, Nokia 5, Nokia 6 and Nokia 8. This new phone will be the company's 5th smartphone for the Indian market. 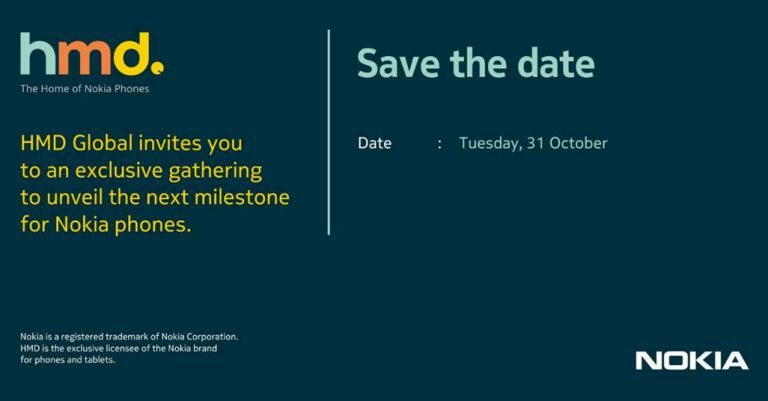 The media invite for the October 31st reads “HMD Global invites you to an exclusive gathering to unveil the next milestone of Nokia Phones” but it doesn't have any details on which smartphone it will launch in the event. Nokia 7 was recently launched in China with a 5.2-inch 2.5D curved glass display with 1920 x 1080 pixels resolution and Corning Gorilla Glass 3 protection, a 2.2 GHz octa-core Snapdragon 630 14nm Mobile Platform with Adreno 508 GPU, 4GB / 6GB of LPPDDR4 RAM, 64GB of (eMMC 5.1) internal storage capacity, expandable storage up to 128GB with microSD card, Android 7.1.1 (Nougat) OS, upgradable to Android 8.0 (Oreo), Hybrid Dual SIMs, a 16-megapixel rear camera with dual-tone LED flash, PDAF, ZEISS optics, 1.12um sensor, f/1.8 aperture, 80-degree wide angle. It has a 5-megapixel front-facing camera with 1.12um sensor, f/2.0 aperture, 84˚ wide-angle lens, a 3000mAh built-in battery with fast charging support, connectivity options available are 4G VoLTE, WiFi 802.11 ac (2.4GHz + 5GHz), Bluetooth 5, GPS, USB Type-C, 3.5mm audio jack. The Nokia 7 has audio enhancement feature available as well as it comes with dual microphones and Nokia OZO Audio and it also has a fingerprint sensor on the back. 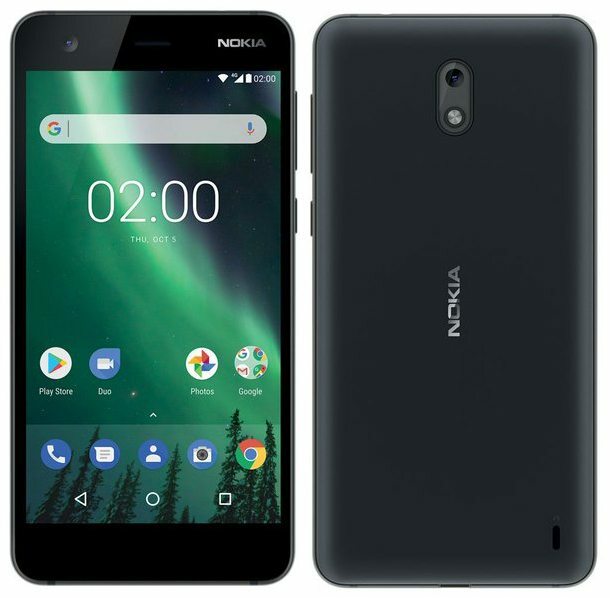 Talking about the budgeted Nokia 2 smartphone, it was recently seen listed by U.S. based retailer B&HPhotovideo with a price tag of $99 only. It is expected to have a 4.5-inch HD display with 1,280 x 720 pixels resolution, 1GB of RAM and 8GB of internal storage capacity with expandable MicroSD card slot. It is expected to get a battery with around 2400mAh size or it might be a bigger one. The Nokia 2 will have a 5-megapixel or an 8-megapixel rear camera with 720p HD videos recording feature. It will support 4G LTE, 3G, Bluetooth, Wifi, and other standard connectivity options and will have dual SIM support as well. Stay tuned for more details.